Our Wall Décor products are print and substrate products ready to hang on the wall. Sizes will vary according to the product. Please note that sizes larger than 24”x36” are available for local pickup only. Canvas Gallery Wraps are a contemporary way to display your image on the wall. The image is printed directly onto museum quality canvas material using high quality archival inks. The Canvas Print is then wrapped around a stretcher frame so that the photo’s edges are visible on the sides of the frame. We manufacture our frames in store, and can offer an infinite variety of sizes. Please ask us if you do not see the size you desire. Frames are available in ¾ and 1½ depths. In our ROES uploader, you can choose borders and colors, or choose to have us “mirror” the image on the edges if you do not have sufficient crop room for your image. Sizes are available from 8”x8” to 48”x96. Standard order service time is 3 working days. Our PolyWrap is a lightly textured non-hydroscopic material which is not affected by changes in moisture. The material maintains a tighter wrap, and is not affected by temperature or humidity changes in the home or office. The Poly print is wrapped around a stretcher frame so that the photo’s edges are visible on the sides of the frame. We manufacture our frames in store, and can offer an infinite variety of sizes. Please ask us if you do not see the size you desire. Frames are available in ¾ and 1½ depths. Sizes are available from 8”x8” to 48”x96”. Standard order service time is 3 working days. With the highest fade, scratch, and abrasion resistance, you won’t have to hide your images behind glass anymore! Plus, our metal prints are the longest lasting photo medium on the market! We use ChromaLuxe HD metal with specially-coated surfaces for infusing dyes directly to the metal. 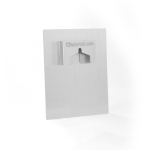 For optimum clarity, we fuse each size at specific temperatures and time length with our heat press. 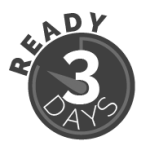 Standard order service time is 3 working days. Having the right hanging materials can be tricky, but we made sure to stock displays specifically designed for metal prints…and we have options! The Connection hanging mount is made from the same metal material which creates a pocket for nails and screws. It also extruded the image ½ inch from the wall. 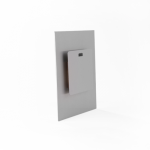 Our Shadow Display is a flat metal plate with a saw tooth opening and a ½ inch spacer for extending off the wall. The Table Top Easel is styled after the traditional kickstand frames and is intended for images smaller than 11x14. 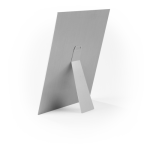 Also made of metal, the Table Top Easel is sure to “hold up”. 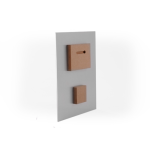 Our Duo Shadow Display is a flat wood plate with a key hole opening and ½ inch depth for extending off the wall. *ROES pricing only. Web prices will vary. Metal Prints are coated using state-of-the-art coating machines. But the coating sometimes contains small imperfections such as small craters or bumps. We inspect each sheet very carefully and if there are imperfections we place them in the most unobtrusive parts of the image. We cannot remake Metal Prints due to these imperfections unless they are located in a very prominent part of the image. Metal Prints are weatherproof and moisture proof, but they will fade like a normal photograph, so please avoid direct sunlight.